The article quite clearly states that his sons all served in the Army during WW1 and yet Joseph Chad Howman the youngest son is the only man of that name to appear on the Roll of Honour. In searching the 1891 Census we find that the Howman Household consists of Joseph Howman and Eliza, Walter, William, Lillian, and Joseph. Further investigation of the records shows that both Walter and William's births were registered as Uttins, born before Joseph married Eliza in the second quarter of 1881. Everything now makes sense of the press clipping except that William Uttin/g/Howman does not appear on the Roll of Honour! 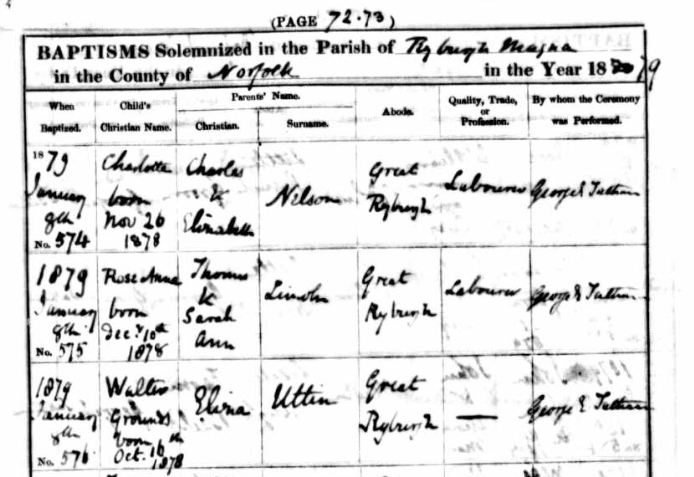 Walter Grant Uttin was entered erroneously as Walter Grounds by George Tatham in the Baptism Register, but he is our man baptised on 8th January 1879. 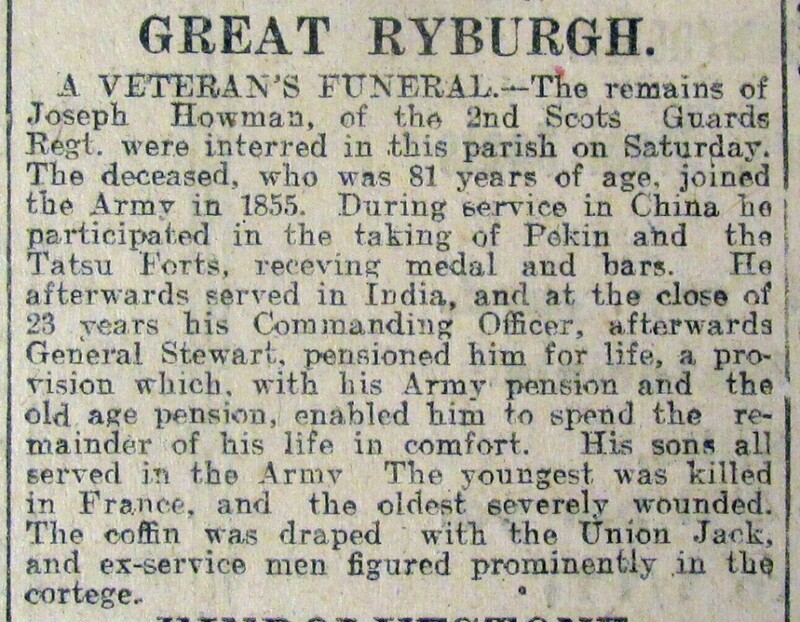 When recovered, he was again posted to France in March 1917 only to be wounded in the left arm the following month. He remained in France however until December 1918. 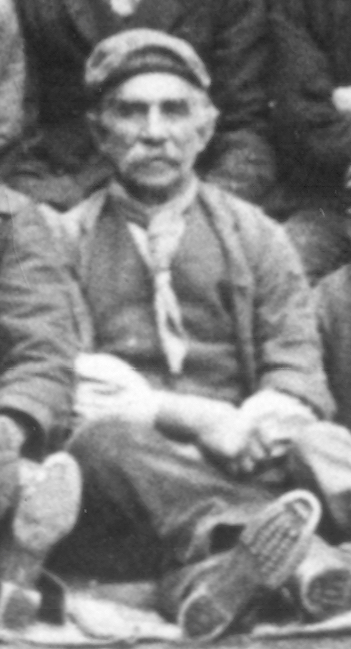 On his return home, he was transferred to the Labour Corps and the "112 Prisoners of War Company", as his record says, "compulsorily for Benefit of Service at Infantry rates of pay". Following his discharge from the Army he was granted "18 pence a day for life Service Pension from May 3rd 1920 in addition to Disability Award"
If you can add or correct anything on this page or if you have any family images and other information that you would be willing to share, please get in touch via the website.